This book is really dark, really twisted, and all around amazing. A Feast of Sorrows is a collection of short stories. Some are based on the fairytales we know, such as 'Bluebeard's Daughter'. Others are original but contain elements of fairytales. Many of them are twisted and quite adult (even if there are no explicit scenes). Do expect coarse language too, which is a roundabout way of saying that all of these tales feel more like the original Grimm fairytales than the Disney version, or darker so please don't give them to your kids or younger teenagers to read. All the stories take place in the same world, and while there is no direct continuity, the stories in the second half reference each other fairly frequently. A few of the same characters pop up, though the first such story (St Dymphna's School for Poison Girls) didn't captivate me because I had no idea what was going on. I like a little mystery in the backstory, but too much and I just get lost. The last part of the book would be the author talking briefly about how each story came about. I wasn't particularly interested in this, but I'm generally not interested in backstories. I don't particularly have a favourite story because I like almost all of them equally. 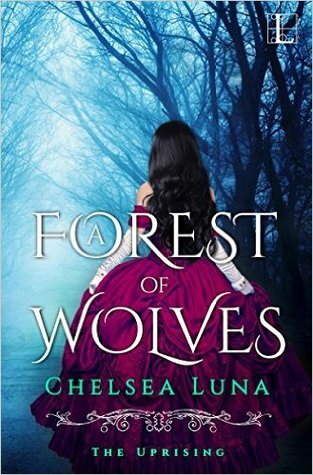 If you're a lover of the darker and more twisted fairytales, you'll enjoy this book. I was really excited to read this book because it's on creativity by Sir Ken Robinson, you know, that guy who gave the TED talk? But it was slightly different from my expectations, even though it was pretty interesting. Rather than a treatise on how to be creative (like how Peak discussed not only how people develop their talents but gave concrete strategies), this book is a general discussion on creativity in schools, and how the current system of education, which was developed for a different time and purpose, is no longer sufficient or adequate. Towards the end, there are nine principals they recommend, but they aren't really actionable, in my opinion. One, the focus on the West. Even though the first chapter talks about how his work takes him all over the world, and that governments are all struggling with this problem (which made me think this would be a global discussion), the East barely appears. I see a few examples related to China, but I don't recall a country in Southeast Asia or any other country. The history of education is wholly focused on the West, and so are the people discussed. That was a little disappointing. Two, a few mistaken anecdotes. I don't remember all of them, but I do remember the ones relating to Chinese culture. One was how steamed fish was still regarded as a "foreign" cuisine - that's not true, at least not in Singapore. Gang-zhen style steamed garoupa/other fish is considered Chinese (specifically: Cantonese). Perhaps the waiter was just explaining the origins? And in the next anecdote, Sir Ken Robinson talks about Zhou Enlai's famous statement on how in 1972, it was too soon to form an opinion about the French revolution 200 years. That's not true - Zhou Enlai was actually thinking of the May 1986 events. This isn't new, and it's a bit annoying to have the story perpetuated again and again. 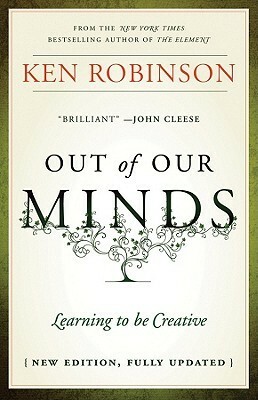 If you're looking on a treatise about education that focuses on creativity, then this book is for you. It's very readable and full of small jokes. If you're looking for ways to be creative, though, you're out of luck. Funnily enough, I've never read any of Søren Kierkegaard's works, even though I've heard of his theories before. And before reading this, I wanted to read something, but I couldn't really find it in public domain or in the library. So I decided to just go ahead and read it. 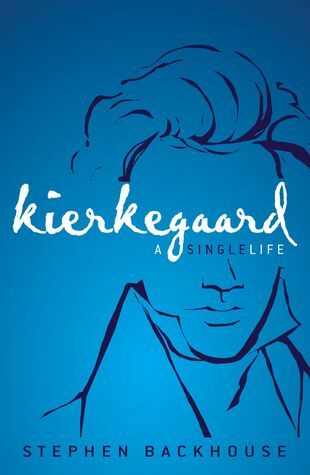 Kierkegaard is aimed at the general reader and is meant to be accessible. Happily, it delivers on the promise. One was to his ex-fiance, whom he never stopped loving, even though he purposely rejected her and made her give up on him. This is the part of him that the book calls "the champion of individuality"
The second half of the book is an overview of his works, which is helpful now that I'm looking for one of his works to start with (but when I can actually find it). The book truly lives up to its promise - it is an accessible introduction to the man and his works. Disclaimer: I received a free copy of this book via Netgalley in exchange for a free and honest review. I really have to start writing down reasons why I want to read certain books. I mean, I occasionally write down the bloggers whose book reviews have fed the TBR list, but on the whole, I tend to jot down only the titles and/or author names. Which is why I had no recollection why I wanted to read this. After reading the book, though, I think it's because this book is like [SPOILER, SORTA, MAYBE?] 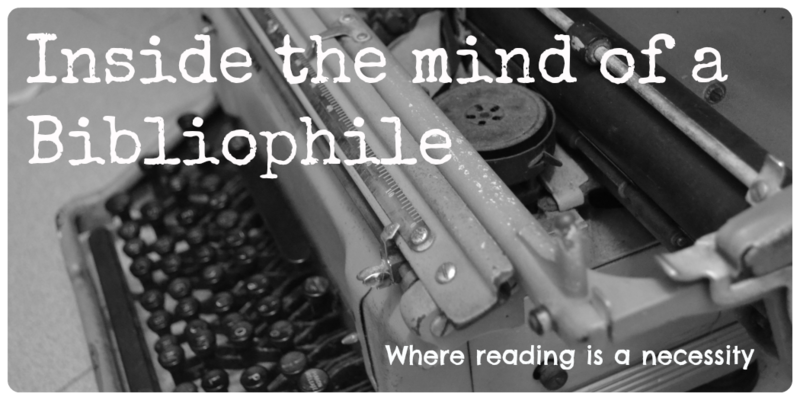 The Murder of Roger Ackroyd, and I wanted to read another Christie book like that. Obviously, I enjoyed this one very much, though it's one of the few books where I regret having read the synopsis before reaching the climax. So here's my attempt at a spoiler-free summary: Michael Rogers (our narrator and protagonist) is a listless young man, going from job to job. One day, he meets the beautiful and rich Ellie and they fall in love instantly. They marry (secretly, of course) and build the home of their dreams. However, one day, Ellie dies while out riding, and then two more deaths follow. That's all that I dare to say. Too much and I might end up revealing the twist. While I think some readers would feel like the book "cheated" them (especially compared to "fair-play books" like Ellery Queen, another author I read recently - here's another possibly spoiler-ish moment), I think there were quite a few clues in the first half that a reader, familiar with Christie's work, would be able to pick up on. Or at least, there were enough moments where after I knew the twist, I ended up seeing them in a completely different light. 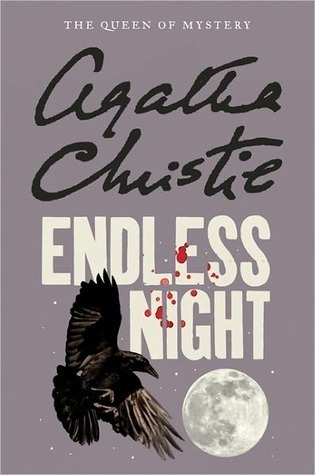 I'm a fan of Agatha Christie, so obviously I'm going to recommend this book. Even if Poirot or Miss Marple isn't in it. Despite the fact that this was written by the defense attorney (unless the author is a different person with the same name), I walked away thinking that Mike/Michael Ferreira (one of the two defendants) was one of the killers of John McCabe. Of course, the case is complicated, and there is no doubt that the defense attorney did his best, but I just had this feeling of guilt throughout the whole book. 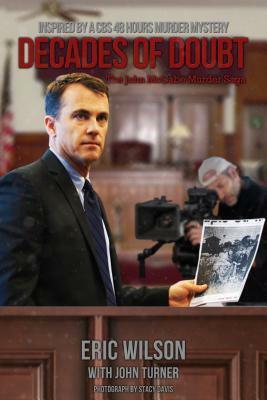 Decades of Doubt covers the murder of John McCabe. The fifteen-year-old (FIFTEEN!) was found dead one night and despite the police chasing down every available lead, the case went cold. Forty years later, though, one of the killers finally confessed, bringing some closure to the family (until one of them walked). I might have been more sympathetic to Michael Ferreira during the trail segment, but halfway through, the defense attorney suddenly got half a chapter (every chapter), where he gave his side of things. I thought that it was unnecessarily disruptive to the flow of the narrative and ended up skipping those sections, which could explain why I think guilty (although this is in terms of "he did it" and not whether he's legally guilty and how much and all that). Apart from that, there were a few things that struck me as slightly odd. For example, the first half is very much written like a novel, with the thoughts of the detectives and all that. I can't remember if most true-crime books do that, but somehow, it was rather jarring to me. Overall: the John McCabe murder is a tragic one, and there's no doubt that the trial was complicated and worth writing about. However, the bias was too strong and I ended up leaning in the opposite direction. 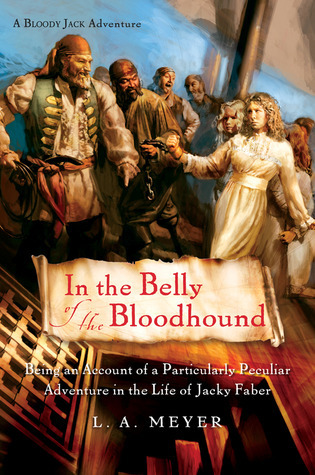 Disclaimer: I received a copy of this book from the publisher via NetGalley in exchange for a free and honest review. I am so excited and happy that this book is out! I first read it when it was a NaNoWriMo draft, and even in its first-draft state, it was a captivating story. Now that it's been properly edited, it's even better! 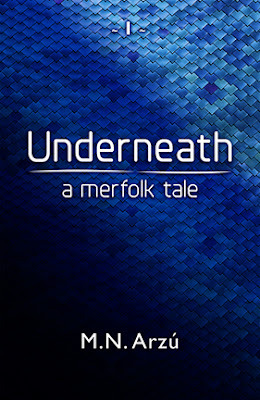 Underneath is going to appeal to people who like mermaids (sorry, merfolk) but don't really want to read romance. Or is that just me? I hope not. Anyway, Underneath starts when a mermaid is found on the beach. Obviously, this leads to all sorts of craziness because it's the social media age and no one knew that merfolk lived among us. Caring for the merman (dubbed 'Ray') is Dr. Gwen and her colleagues. I liked them enough. And trying to get the merman (real name: Chris) back is his family - Dad (Julian) and brothers (Matthew and Alex). I adore the family, because of their strong bonds and because the dynamics are just adorable! Trying to make a big mess - er, get to the truth - is Kate, a news reporter. Her, I didn't like but that is because she's interfering with the rescue attempts and putting all the merfolk in danger! What I really liked about this book were the characters. I either loved or hated all the characters (there are some baddies that I haven't mentioned). There were no "meh" characters - I was fully engaged in the story, and that helped to make the stakes feel even higher to me. Disclaimer: I got a free copy of this book from the author in exchange for a free and honest review. I started this book before a 1am flight because, I don't know, I subconsciously never want to eat or sleep again (just joking. I did both the whole day). Cannibalism is a history and an explanation of the act. But don't worry, the author doesn't start with the stomach churning human eating human stuff right away. He starts with the 'lighter' stuff - cannibalism by non-humans. 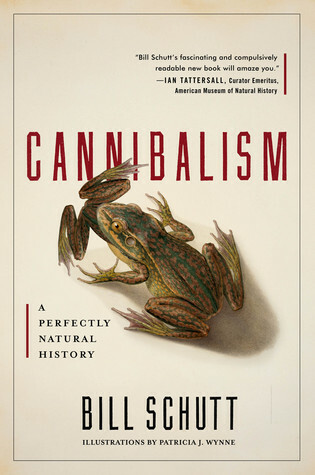 The book starts by defining the various types of cannibalism - of which I remember two: eating your family members and eating people of your species who aren't related to you. Then it gets defined even further, to things like filial cannibalism (parents eating children or vice versa), cannibalism during mating (turns out the Black Widow Spider has been maligned. After going through all these decidedly non-humans, the author slowly makes his way back to us. And of course in Western history they had the whole mummies and medicine thing too, which if you think about it is also cannibalism. And in modern times, there is that while placenta eating trend which if you think about it, can be considered cannibalism too. So yeah, this book shows that cannibalism does have a lot of grey areas. It's a pretty fascinating look into the history and science behind it. P.s. I just remembered one thing that gave me pause while reading. When discussing Holy Communion, the author casually says that "the last supper is one of those seemingly rare instances where even evangelical Christians appear to bend their own rules regarding translation". I found that really ignorant because any thinking person can recognise that the Bible consists of history, poetry (Psalms, Song of Solomon), prophecy, etc and it would be foolish to read everything the same way. "I will add this, though, since I am a mother and we can't help ourselves. A broken heart hurts as badly in wartime as in peace. Say good-bye to your young man well." How about you? What is your teaser this week? Found this in the NLB and immediately got it because I haven't read Oishinbo in English before! The only time I read it, it was in Japanese, and at a manga cafe when I was staying the night, so I didn't make it very far. 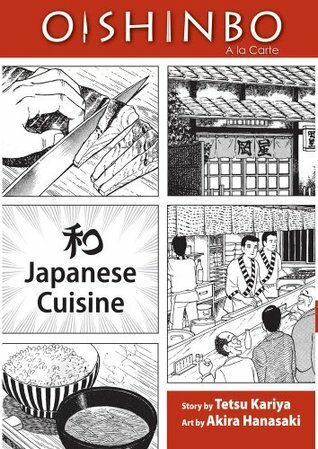 Anyway, Oishinbo is a really famous manga in Japan, and it's all about food! Sadly, it's now on hiatus (probably permanent) because the author made a misstep when talking about food from Fukushima. The plot of Oishinbo is roughly like this: Tozai News wants to create an "ultimate menu" and Yamaoka Shiro and Kurita Yuko (the new girl) are in charge. Yamaoka is fairly lazy, but quite a genius with regards to food. He also has a huge feud with his uber famous father, which results in his dad going to work on the rival "Supreme menu" for the Teito times. Oh, and along the way Yamaoka and Kurita fall in love, get married and have a kid. But it's mostly about the food. Really. But to be honest, the plot doesn't really matter because the English translation is an 'a la carte' which means that they ignored the main plot and just translated a bunch of chapters around a theme. In this case, Washoku (Japanese cuisine). This particular volume talks about dashi, basic knife skills, the right to be a chef, the pinnacle of technique (cooking sashimi), the soul of hospitality, the ultimate etiquette (chopsticks), the tea master and the strawberry, a real feast (the spirit of gochisou), the principles of Japanese cuisine and tea. If you're a fan of Japanese food, you'll definitely want to read this. Though it may be a good idea to read this with Japanese food within reach, because this is going to make you hungry. 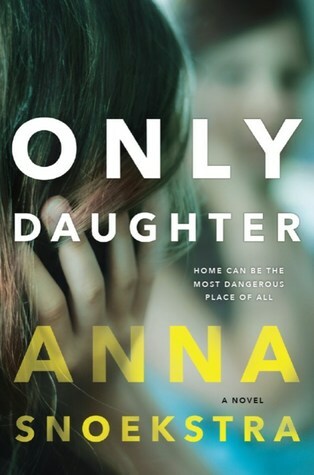 Only Daughter is an intriguing and gripping book that kept me reading till the end to find out what was going on. Basically, our unnamed protagonist gets caught shoplifting, and in an attempt to get out of trouble, lies that she is Rebecca Winter, a girl that disappears eleven years ago. Somehow, the family accepts her claim, and she goes back to live with them. 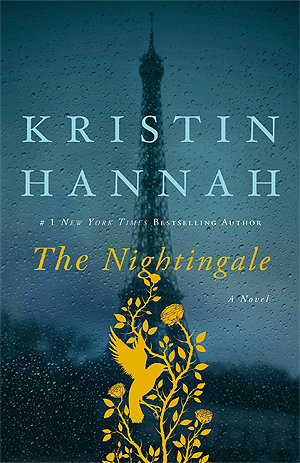 At the same time, the book alternates the protagonist's present with Rebecca's past, showing the days up to when she disappeared, and the increasing sense of fear that she felt. I must say, the need to find out what happened was so intense that I had to finish this in one sitting. And I completely got the culprits wrong, even though I guessed at it a few times. The protagonist was an interesting character. She sort of reminded me of the protagonist in Method 15/33, in that she was constantly trying to figure out a solution and how to manipulate others, but she does not have the gift of turning off her emotions, and I think the protagonist in Method 15/33 was a much better manipulator and planner in general (although the protagonist in this book managed to keep the police in the dark for most of it, which is pretty impressive). I'm also pretty sure that there was something other than the mystery, like with the protagonist and Rebecca's best friend (Lizzie's) brother Jack, but to be honest, at the end when she was talking about what happened to Jack, I only had the vaguest idea. I guess I was just too caught up in the "what happened to Rebecca" mystery that I ignored everything else. This is a creepy, disturbing book and you should only read it when you have a stretch of spare time ahead of you. This book is really a short, exquisite piece! The title pretty much tells you who it's about (Kae is the doctor's wife the title refers to), but there are two main characters. One is her mother-in-law, Otsugi, whom she initially admires and has a close relationship too, and the other one is her husband, Seishu. So basically Kae has admired Otsugi since she was a little girl, and was thrilled when she was invited to be her daughter-in-law. The two had a close relationship until Seishu came back from Kyoto (she got married without her husband there... Weird, I know) and it turns out that Otsugi has some kind of Freudian issue where she has to be the number 1 woman in her son's life. So they end up competing for his affection by pretending to be model women. The tone of the book is very restrained. While I know how Kae and Otsugi feel, I never really dive headfirst into their emotions. Even though that would normally be a bad thing, I think it works well for this book, where daughter-in-laws (and women in general) were expected to be restrained and demure. And because this book basically covers Kae's life in fifteen short chapters (it's 174 pages total), there's a lot of things that get glossed over. Only the important stuff is covered. Of course, this also means that despite the huge numbers of characters in the book (Otsugi gave birth to 7 kids), the only ones that felt real were Kae, Otsugi, Seishu, and to a lesser extent, two of his sisters. If you're looking to go back in time with a short, quiet piece, you should pick up this book. 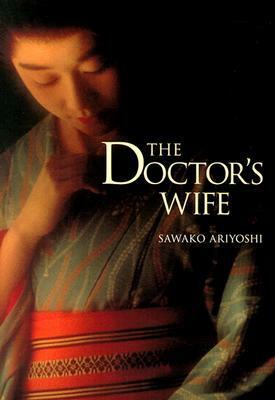 I'm definitely interested in reading more of the author's works, and hopefully the libraries in Japan have more. There's normally a gap between the time I request a book on NetGalley, it's approved, I download it and when I finally read it. The time lag tends to be rather long, so sometimes, I get rather confused. Thought one: Did I accidentally request a paranormal romance book? (The word 'Wolves' threw me off) Ans: no. Thought two: Why do I feel like the book is recapping stuff? *Checks Goodreads* Oh, it's a book 2. Once I got those two thoughts out of the way, I really enjoyed the book and finished it in one sitting! Basically, Mila is a Duchess who's on the run with her boyfriend after being forcibly married off to some other dude. Her boyfriend's the leader of the Protestant uprising and Mila's Catholic (which becomes more awkward when she reads her dead mom's letter). The book revolves mostly around the letter Mila gets from her mom, so I won't spoil that for you. Revolution-wise, not much happens, though there is fighting and character death involved. I really liked Mila and Marc (her boyfriend). Their relationship is already quite established, though it has their ups and downs. What I like, though, was that it wasn't overly dramatic and that Mila does have a mind of her own. Story-wise, I would have liked a little more progression with the revolution before the story ended, but since quite a bit happened to Mila and Marc (not to mention that one explosive revelation), I'm mostly fine with how it ended. While I had little problems enjoying the book (because of the recap), I think new readers should start with book 1. For me, I'll be looking forward to Book 3. Disclaimer: I got a free copy of the book from the publisher via NetGalley in exchange for a free and honest review. The Bloody Jack series is one where I take ages between the book (even though they have cliffhangers and everything) and then when I finally pick it up, finish it in one day. The starting was a little slow, but once the girls got kidnapped, the book was impossible to put down. I enjoyed the adventure very much, and even shed some tears towards the end of the book. The book almost ended with a happy ending, but then it switched to a cliffhanger. But after I borrowed and read the first chapter of the next book, I didn't feel the need to press on. I was so excited to hear about Alida's series on writing craft. I managed to scrounge up enough cash to have her edit The Nutcracker King, and while I wish I could hire her for every book I write, I'm still a poor student and that is not possible. So with the Story Works Guide for Writing Character, I have a book that I can use as a reference when writing/revising my stories. 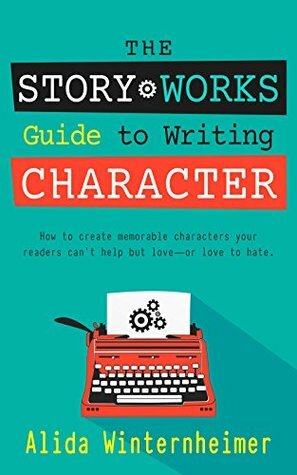 The Story Works Guide for Writing Characters is, as the title says, focused on characters. But since Alida considers characters, setting and plot to be three strands of one story braid, she does talk about the other two elements as and when they're related to character (for example, character arcs and plot are quite closely related). Each chapter comes with an exercise (there are 12 in total), ranging from "finding the flaw in your plot" to "the agency tree" (I really, really like the agency tree). Alida also uses excerpts from her own books and the books of authors she has edited to illustrate her points, which make things easy to understand. Bottom line: if you're looking to improve your craft (and if you don't have enough money to hire a developmental editor) this book is perfect for you. It's not going to beat talking to an expert, but it will help you correct many of the common mistakes that people make when writing. Disclaimer: I received a free book from Alida in exchange for a free and honest review. I'm not sure where I heard of Katherine Ramsland, but I really enjoyed Beating the Devil's Game. 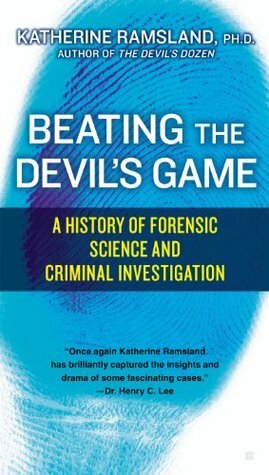 It's basically a history of forensic science, from its origins in China to the present day. What I really liked about this book was that it was told through cases. So it wasn't a dry recital of which discovery came when it was case after gruesome case of how certain technologies helped (or did not help) solve crimes and get justice. Apart from China, which was one of the early readers, the book didn't really touch on developments in Asia. I'm not an expert, though, so I can't tell if it's because Asia didn't progress or if it's an unconscious bias. 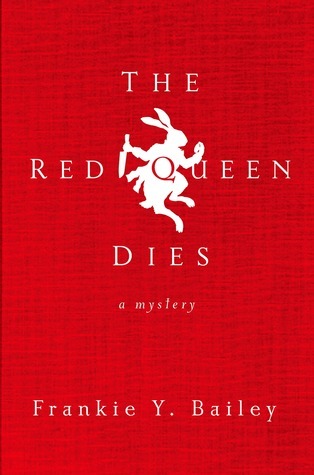 Anyway, The Red Queen Dies takes place in 2019. It's a futuristic America, with illegal drugs like "Lullaby" wiping out traumatic memories, people talking on ORBS and well, robots as extremely capable housemaids (and the robot is named Rosalind aka Rosie). Interestingly, in this version of America, there has been a woman president in the recent past, but as far as I know, the book was published in 2013, so I guess the writer was very prescient. There are a few mysteries in this case, like a witness who takes Lullaby and ends up unable to testify, some guy who got beat up and (the main mystery), a serial killer whose third victim once starred as Alice in Alice in Wonderland. The mysteries all remained very separate, and it seemed like the author was just throwing in things to develop in later books. While the main mystery was pretty interesting, I didn't really get an Alice in Wonderland vibes from the book (apart from the victim being connected to it and liking the book). Instead, the book seemed to be more focused on presenting a version of America where there are cameras on every street, but not enough money to keep all of them running at the same time. If there were more references, they must have been very cleverly hidden because I couldn't find them. Overall, this was a decent mystery, though not the one that I had expected. Still, I enjoyed the book and I managed to finish it in two or three sittings, without losing much interest. 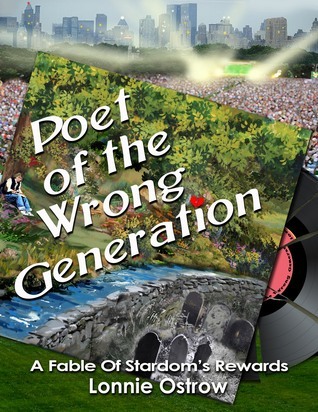 Poet of the Wrong Generation is a fictional biography of Johnny Elias, which, by the way, I managed to finish in one day despite its length. Johnny starts off as an underachiever, but when his girlfriend's mom successfully breaks the two of them, he starts on a path that leads to stardom (and then failure, thanks for aforementioned girlfriend's mom). Most of the book centers on how Johnny deals with stardom and the fall from it, and it's more interesting than my summary of it. Although the book occasionally lapses into the "telling" tendency (usually whenever Johnny's lyrics are explained), it shines whenever Johnny, Megan, Andy, Jacqui plus friends get to just be themselves. I liked the varied cast of characters and although I've never had the curse of being famous, Johnny's high-pressured life felt rather sad and very real, and I really empathised with him. The same goes for Megan. Although her mother is toxic and I was screaming at her to cut contact early on, I can understand her inertia and reluctance to stop what seems like a mostly good deal. Out of all the characters, I like her growth arc the best. Overall, this is a pretty strong book. It took a little time to find its stride (I wasn't a fan of the prologue), but the fact that I managed to finish it in one day despite having a Hong Kong drama I am also hooked on shows how readable it is. Disclaimer: I received a free copy of this book from the author in exchange for a free and honest review. 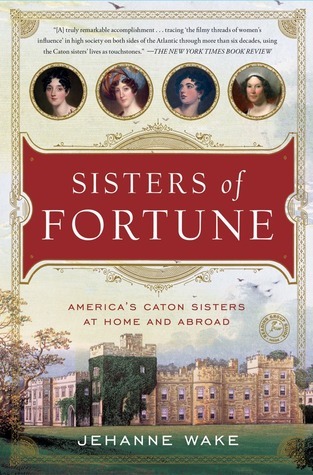 Right now, I'm reading Sisters of Fortune, a biography of the Caton sisters. I picked this up for RM 5, and so far, I'm enjoying it! It's a bit formal in tone, but that's par for the course when it comes to biography. When I first flipped through Overbooked, I was rather disappointed that neither Singapore nor Japan got their own chapter. Now that I'm done, however, I feel rather relieved. I like to think that these two countries are doing tourism right, but what if they aren't? 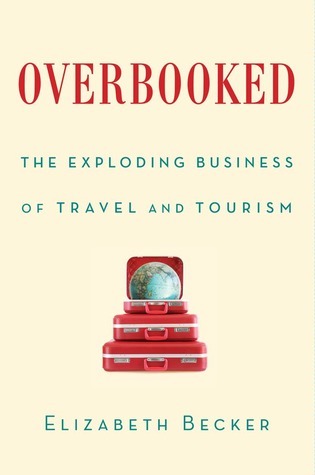 Overbooked is a look at the economy of tourism, and how it's affecting different countries. It's grouped according to a theme, and within each theme, a certain country is highlighted as a case study. The result is an easy to read book that doesn't feel like it's crammed with too much information - on the contrary, the amount of information feels just right. - Dubai: artificially made shopping destination. - Strict visa regulations turn visitors away. I must say, this book was eye opening in a rather bad way. I've been on cruises, I've been to China and Dubai (and Cambodia on a volunteer trip) and I never really knew how my actions impacted the countries. Especially Cambodia, where my school friends and I went to teach in an orphanage for a day and participated in "dark tourism" (although it was technically an educational trip) - I now wonder if the kids that I taught were orphans, or if they were just bought/taken from their families for the tourist dollar. The tourist industry is something that is only going to grow bigger, and all of us will be participating in it in one way or the other. I think that it makes sense that we read this book to spark a conversation (if not within a group than within ourselves) on the type of tourism industry that we want in our countries and that we want to participate in.